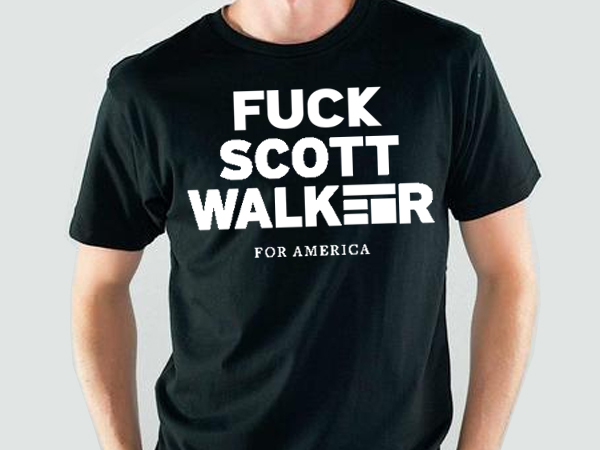 UNINTIMIDATED: Wisconsin Musicians Against Scott Walker: Order a shirt, help us help Planned Parenthood & feed the needy. Order a shirt, help us help Planned Parenthood & feed the needy. 1) Planned Parenthood of Wisconsin. It's kind of a no-brainer. We are obviously furious at Scott Walker and the Wisconsin GOP's aping of the national smear campaign that's been afoot as well as the attempts to defund PP, all on the basis of some BS videos that were edited together to make everyone think that Planned Parenthood is selling dead baby parts. WTF, you guys. Planned Parenthood obviously does loads of amazing stuff to promote women's health: breast and cervical cancer screenings! Pap and HPV tests! Birth Control! And yes, dear god, should the need arise, they also provide abortion services. GASP OH THE HORROR. Of course, that's where the persecution and efforts to defund Planned Parenthood on a national scale come in. Unfortunately, Planned Parenthood's funding in Wisconsin has already been slashed by Scott Walker, having started with the infamous 2011 budget that cut off 12,000 women who do not have health insurance from getting preventive health care. That's more than wrong--that's straight-up evil. So yeah, we're gonna do Planned Parenthood in Wisconsin a solid and raise 'em some cash, hopefully. We have very modest goals in mind for this project, but you never know--we could make a difference if we get enough people behind us! 2) Local soup kitchens in the Milwaukee area. We have a specific one in mind, but because they must stay non-partisan (for good, understandable reasons), we won't mention their name unless they give us permission. That said, we very much want any extra money that comes in from this project to go to immediate use for those impacted the most severely by Scott Walker's politics. That's low-income women who need critical medical care. That's low-income everyone who need to eat but are having trouble affording food or shelter. That's also public schools across Wisconsin, obviously, and if we figure out where we want to donate money toward that cause, we'll let you know! But for now, Planned Parenthood and efforts to feed Milwaukee's needy are where it's at. We'll do our best to make all of this as transparent as possible. Speaking of which -- we'll be sending the first order of t-shirts to Hype Screen Print at the beginning of September, and will be shipping them as soon as we get 'em back from Scott. You can order them at our Bandcamp site, which is where the DVD/CD set will be ordered from as well, when we're ready to set that up! But first, we have to do the recording and filming, which--holy crap--is this weekend! 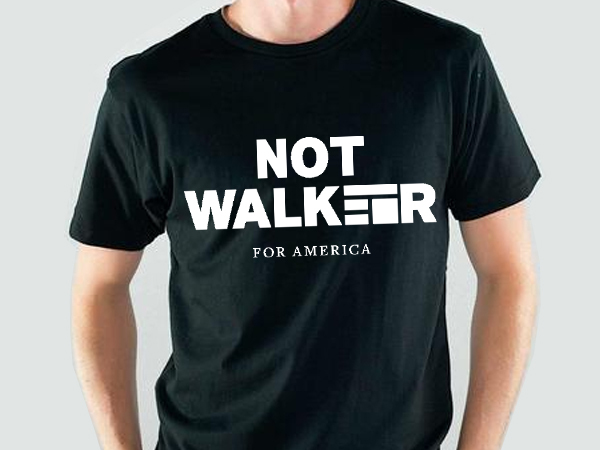 CLICK HERE TO ORDER YOUR ANTI-SCOTT WALKER T-SHIRT! NOTE: Planned Parenthood of Wisconsin is in no way affiliated with UNINTIMIDATED: Wisconsin Musicians Against Scott Walker. We are merely raising money and donating for them. We have not been in contact with Planned Parenthood of Wisconsin at all, so hopefully they don't mind us raising some cash for 'em.